Shining bright white and unmissable from the A9, just outside the golfing town of Gleneagles, is Tullibardine. 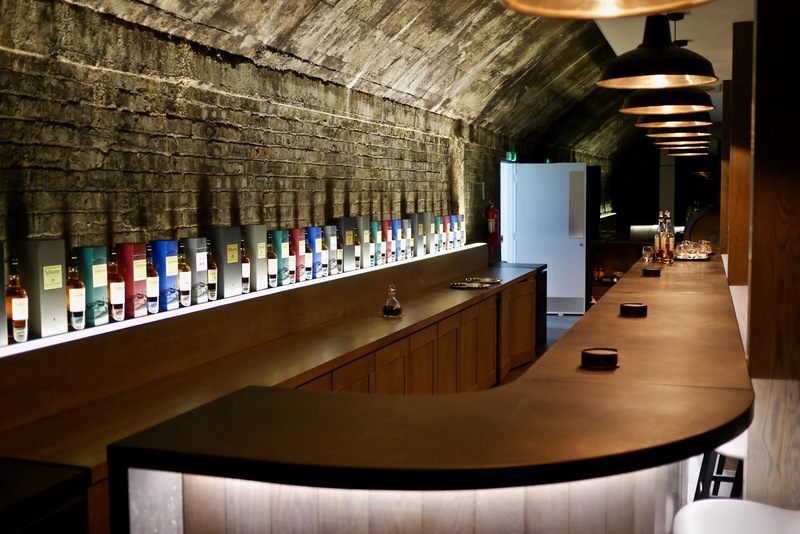 A whisky distillery rich in history dating back to 15th century that has been totally revolutionised in recent years. 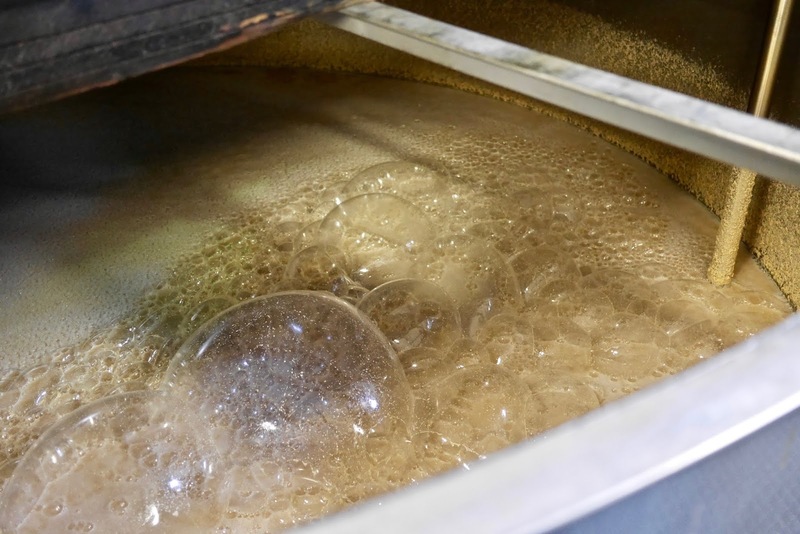 The myth, whimsy and story behind a whisky is as important as the final taste of the drink itself so recently Jess and I took a leisurely Sunday trip north to experience Tullibardine's story for ourselves. I can tell you now that the Connoisseur Tour at Tullibardine distillery was very much worth the journey. 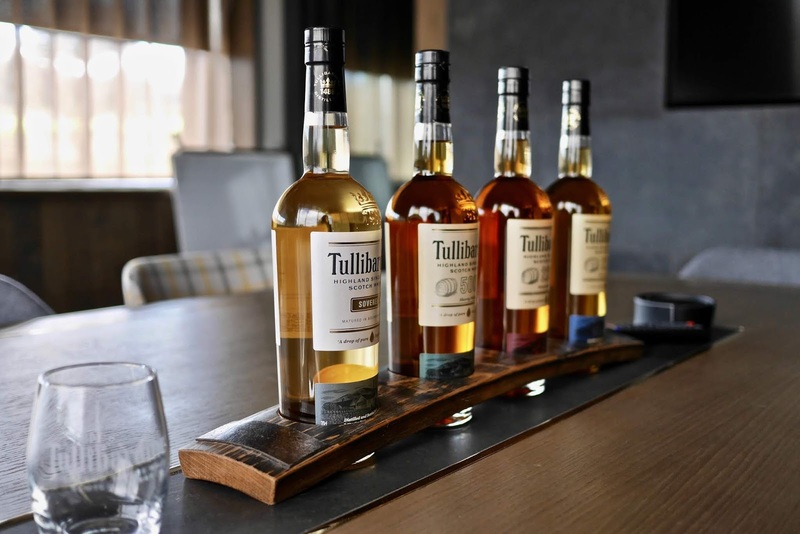 Tullibardine understand that everyone's taste buds are at a different stage of development and some people might find whisky to be a harsh spirit. To help these people get involved in the world of whisky they encourage you to enjoy their single malt in cocktails which was previously a sacrilegious sin. If you would like to find out more about these cocktails, then Jess is showing off 3 of these over on her blog Almost Chic one the next few weeks. Check out her simple whisky sour using Sovereign by Tullibardine. 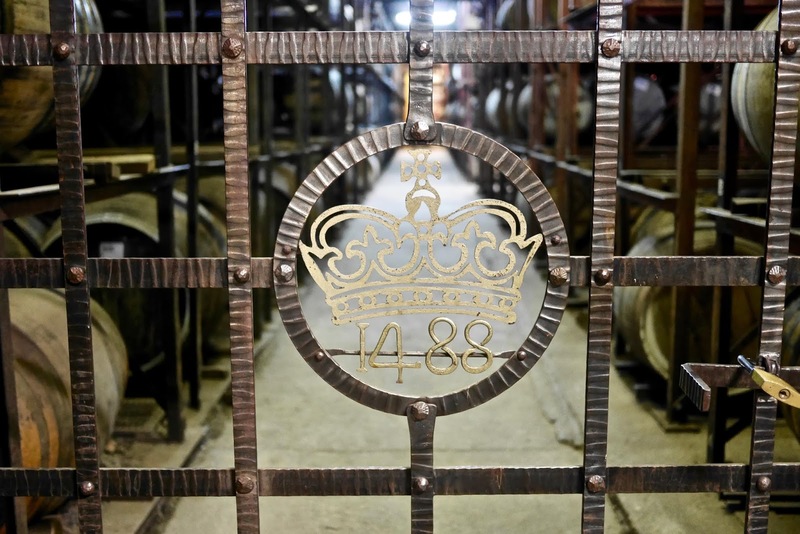 Thanks to records held in Edinburgh the distillery can be dated back as far as1488. 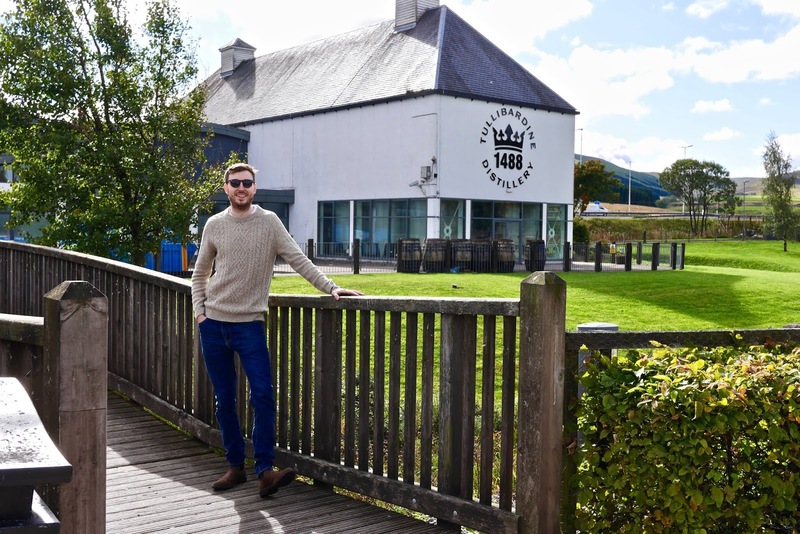 The site which the distillery sits on once housed a brewery where on this year King James IV stopped by to pick up a wee carry out of beer for a trip down to his coronation. The area at the time was bustling with miners as the gold rush in the Perthshire Ochil Hills was kicking off and it was this heritage in gold that gave the reputation of Tullibardine whisky being a drop of pure highland gold. It was not until 1947 during the whisky golden days that distillery specialist William Deme-Evans visited the site and proclaimed after testing the water that it was a perfect location to create whisky, during this year the brewery was transformed into a distillery under the new name, Tullibardine. William was not wrong in his findings in the water, in-fact the source is so good that highland Spring Water now extract and sell water from the surrounding area to all around the world. Through the years after 1947 the distillery had its ups and downs and unfortunately was mothballed in 1993 due to the whisky slump which caused many Scottish whisky distilleries to close. 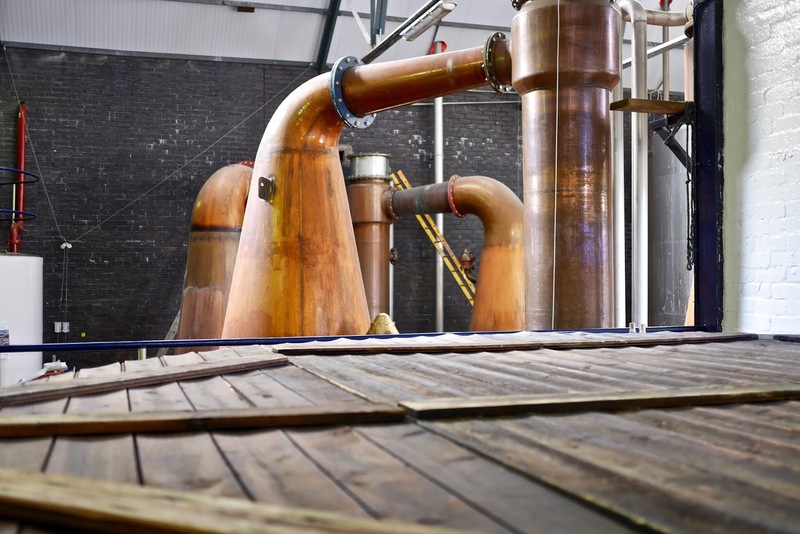 Thankfully In 2003 the doors were re-opened as whisky started to become more popular until 2011 when Terroirs Distillers purchased the distillery. 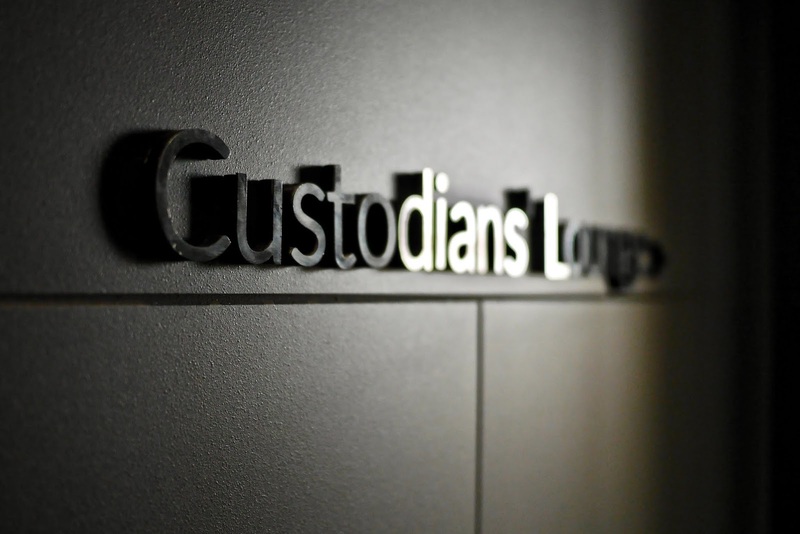 Owned now by the French Picard Family of Terroirs Distillers who have a rich history in wine and Cognac they have transformed the distillery through innovations investment and an understanding of what makes this spirit so special. 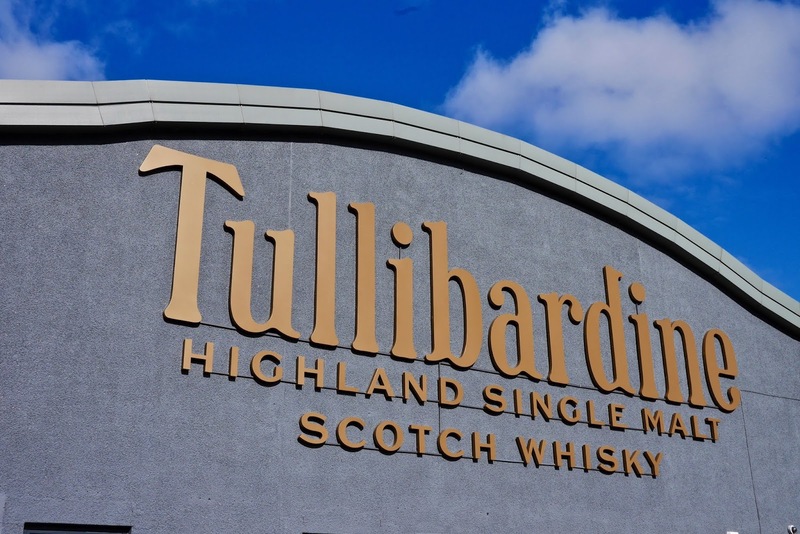 Tullibardine is an independent whisky distillery (a rare find nowadays) that reduce their out-sourcing as much as economically possible and the new owners are keen to expand on this. Bringing back a cooperage, storing all of their whisky on site and also bottling on-site makes this distillery very unique being that they distil, mature and bottle all at the Tullibardine site. 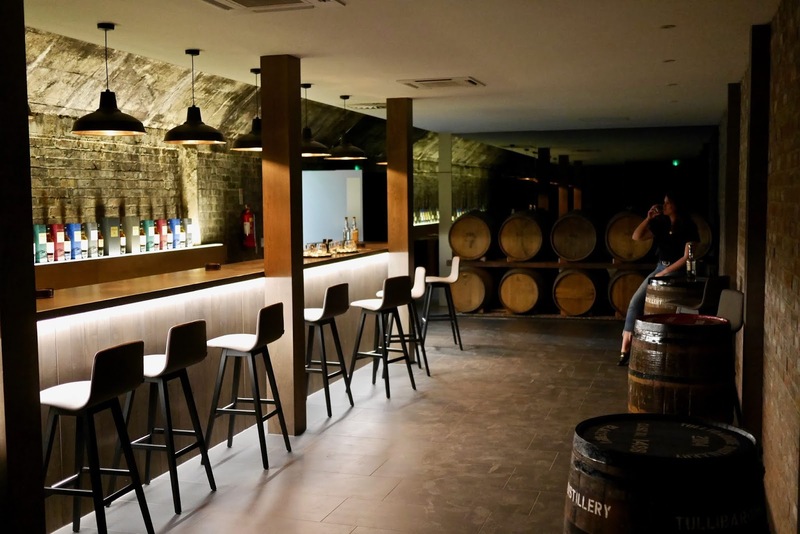 We tasted quite a few of the whiskies the distillery offers and I'm not going to pretend I'm a tasting expert instead I will give you my honest opinion of what I thought of them. The Sovereign - Non age statement where you can taste hints of the new make spirit, bit of a burn and it's quite powerful on the tongue. Tastes particularly great in cocktails. 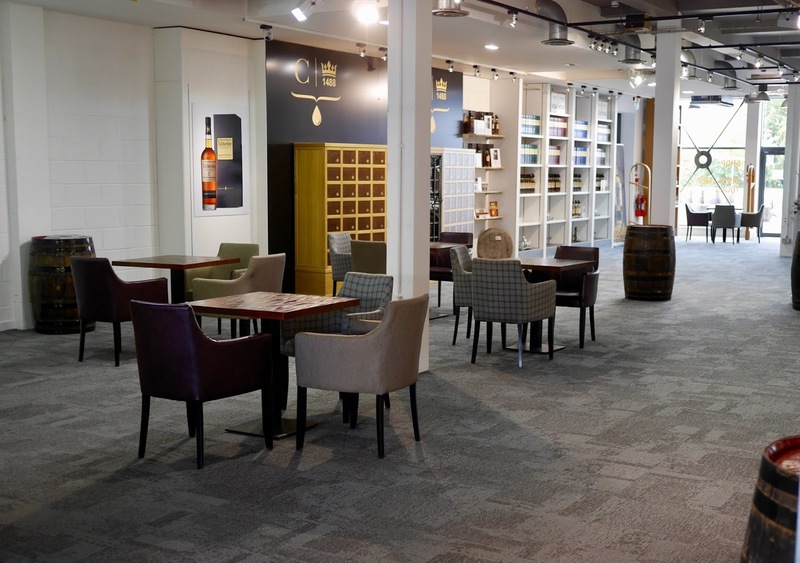 Wood Finish Range - This is a range where the Sovereign spirit is placed into different wooden casks for 14 extra months. It made for a more pleasant drink with less of a burn and the new make taste has been eliminated to be replaced with slight hints of the barrel it was aged in. Easy to drink and my personal favourite was the 228 Burgundy finish. Worth pointing out, the 225, 228 and 500 on the wood finish range stands for the number of litres that each wooden cask holds. The 20yr old Tullibardine - First Fill Ex-Bourbon barrels which gave for a very smooth spirit, very easy to drink with little to no burn. 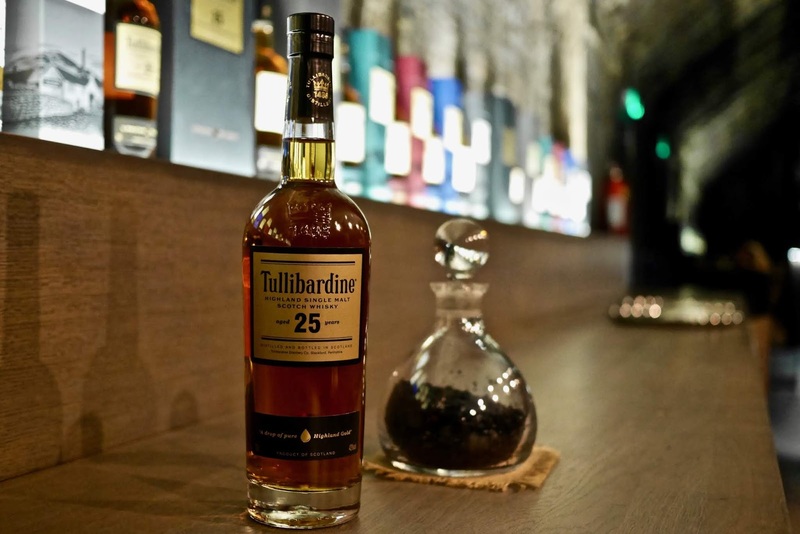 The 25yr old Tullibardine - 25 year's minimum in Ex Sherry hogs head. I love sherry cask whisky and this was just a delight to drink. It is very different to the 20 year old being aged in sherry and gave a smooth, rich, long lasting taste. This was so good and fantastically well-priced (£138) that it's now at the top of my whisky wish list. 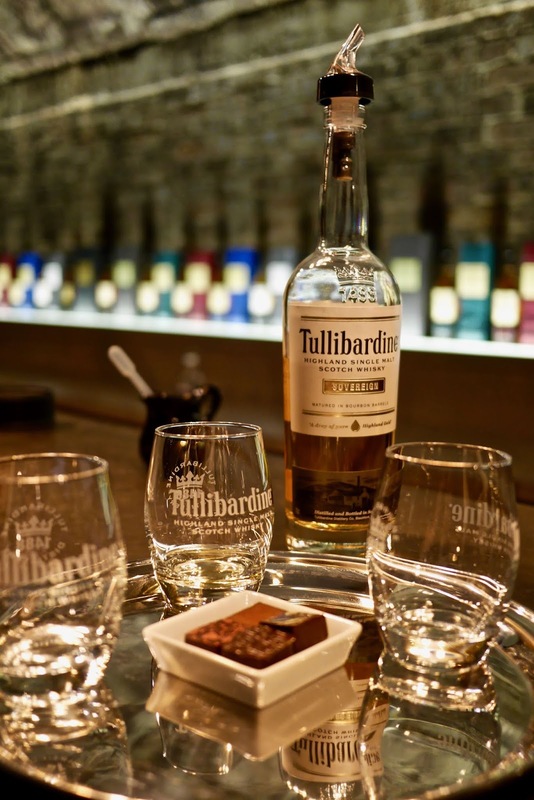 This is Tullibardines special extremely rare whisky and although I can't give you any info on how it tastes I can tell you that if you purchase a bottle you will gain life time membership to the Custodian Lounge. 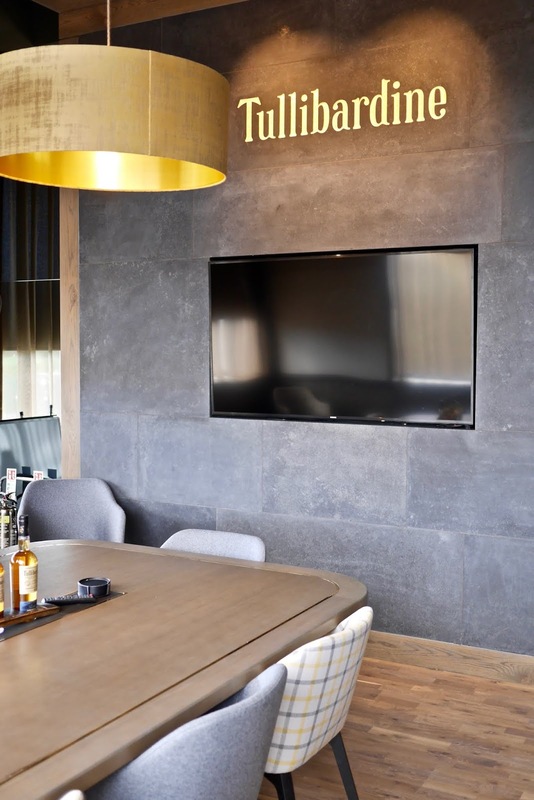 An incredible space where you can invite your friends over to the distillery, relax in a private luxury bar area and drink whisky until your hearts content. 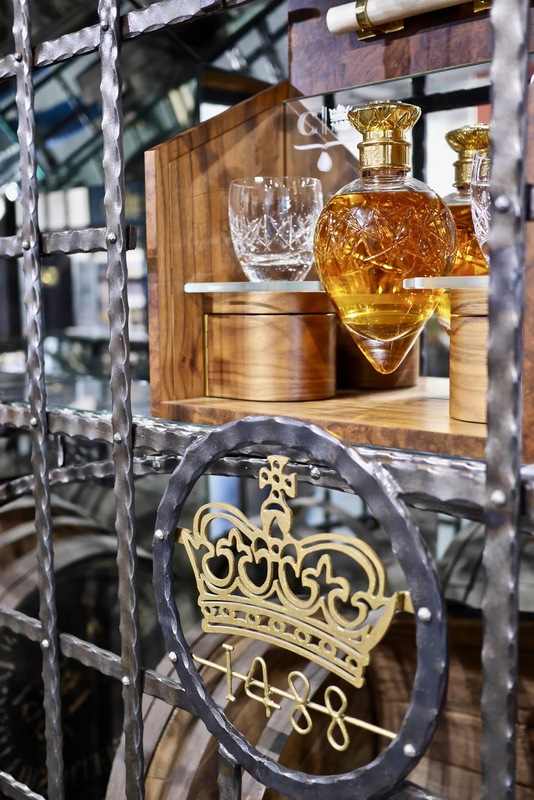 However, with bottles ranging from £2000 to £20,000 it's not for everyone. Tullibardine whisky is selling like hot cakes at the moment. Already a few whisky shops have run out of the 20yr old and have only a few bottles left of the 25 year old so if you want some excellent whisky for a great price then you best be quick. 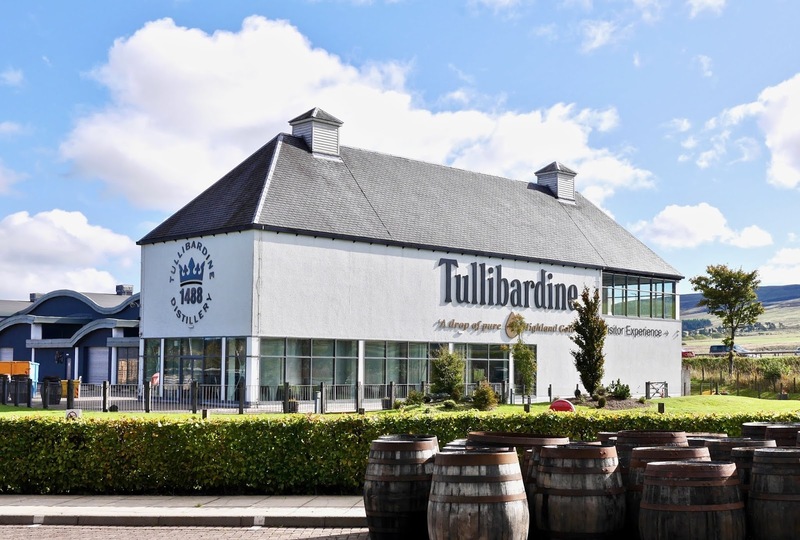 Tullibardine offer a range of tours that will satisfy those looking for a simple understanding of the distillery to those whisky nerds amongst you looking for a more in-depth experience. 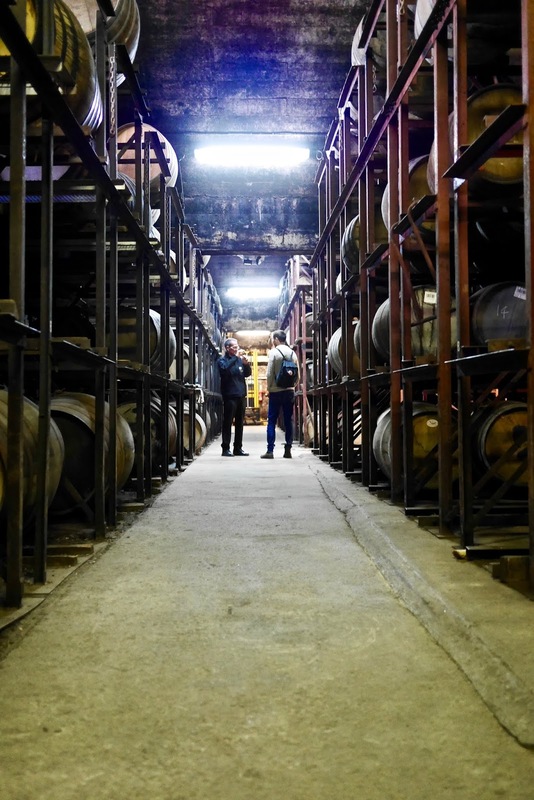 One thing you can be sure of, whichever tour you choose, is the feeling of it being personal and definitely not a straight from the script tour you might find at some of the bigger distilleries. During our visit Gavin was looking after us and made both Jess and I feel right at home at the distillery. 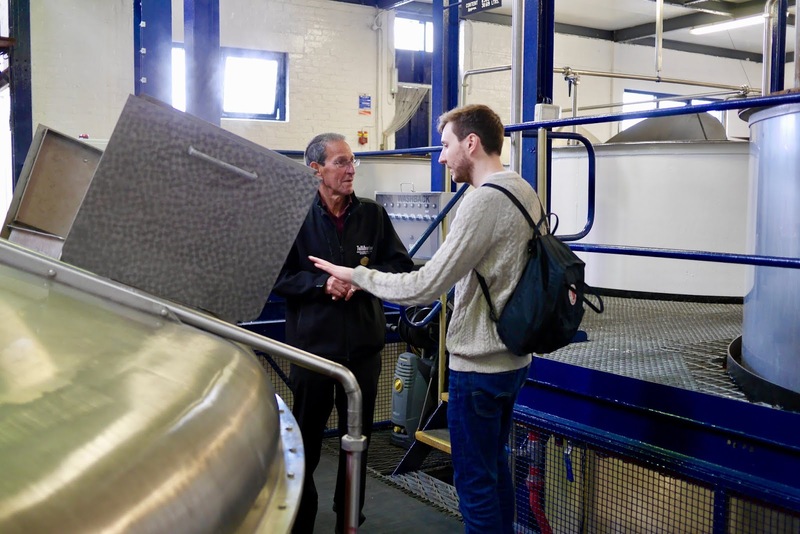 His extensive knowledge of Tullibardine and whisky in general made for plenty of interesting conversation throughout the tour. 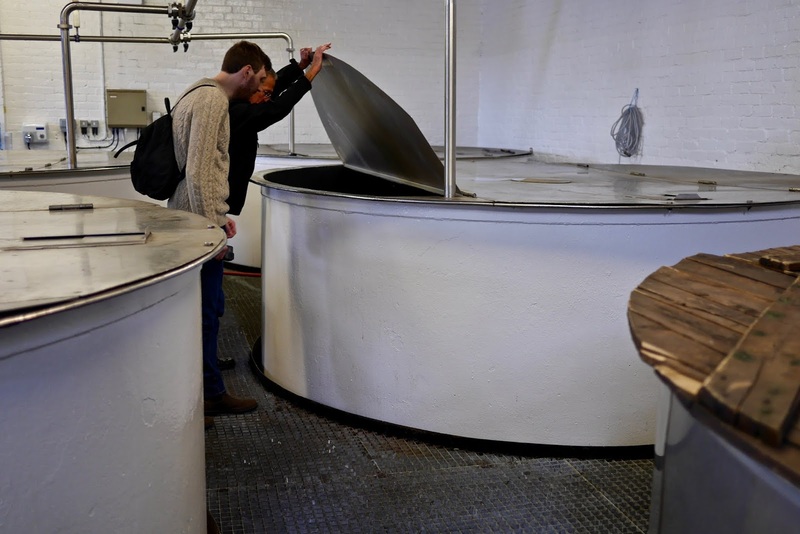 Having been to quite a few distilleries we know that sometimes tour guides will bombard you with facts and figures - leaving you wondering if you should be taking notes for an exam at the end. To our delight Gavin mixed it up with the perfect amount of need to know stats with stories of the distillery and it's fascinating history. Engaging in more of a casual whisky chat than a whisky lecture. 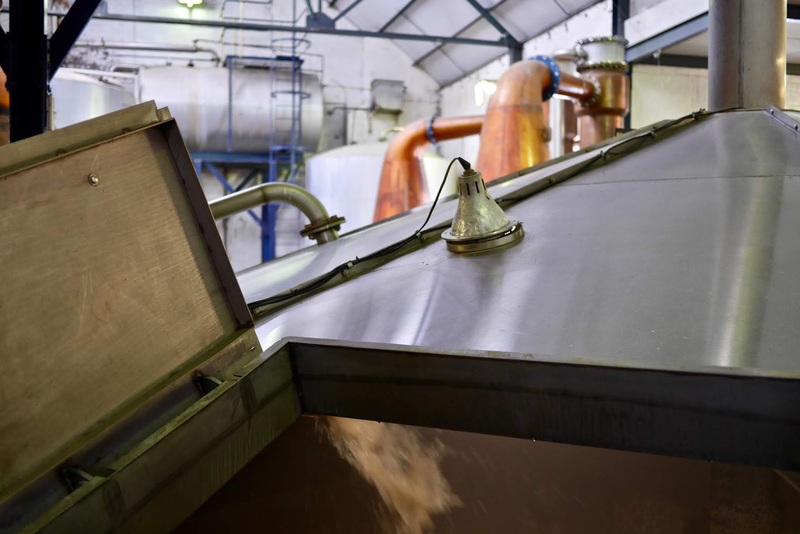 Click here to see what each tour offers over on the distillery's website. I sometimes feel quite disappointed when I find out that some whisky, apparently aged by the sea on a Scottish island, is actually stored and aged in Glasgow. Or that some of the things you see on a tour are just for show and in reality traditional methods have been replaced to reduce costs. Whisky is as much about it's story as it's taste and Tullibardine lay everything out for you to see. 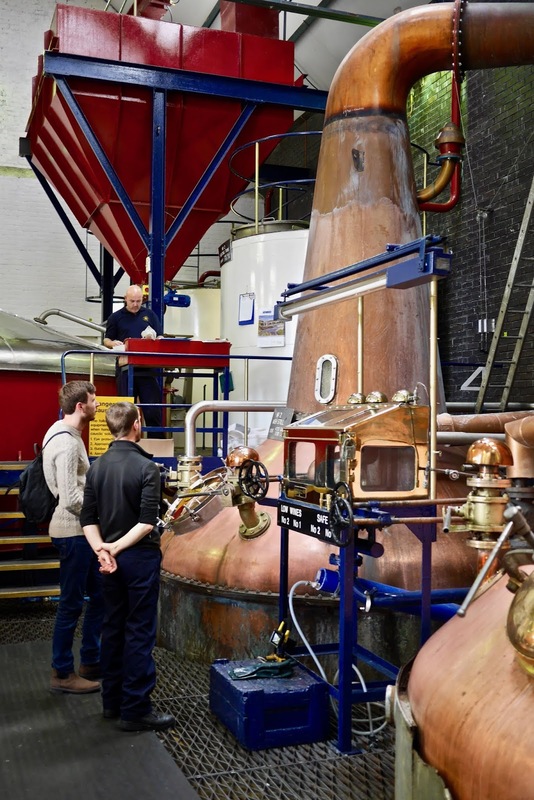 This, coupled with a positive drive to do everything themselves cement Tullibardine's place in that privileged club of a distilleries that create a truly Scottish spirit from raw ingredients right to the shelves without outside influence. 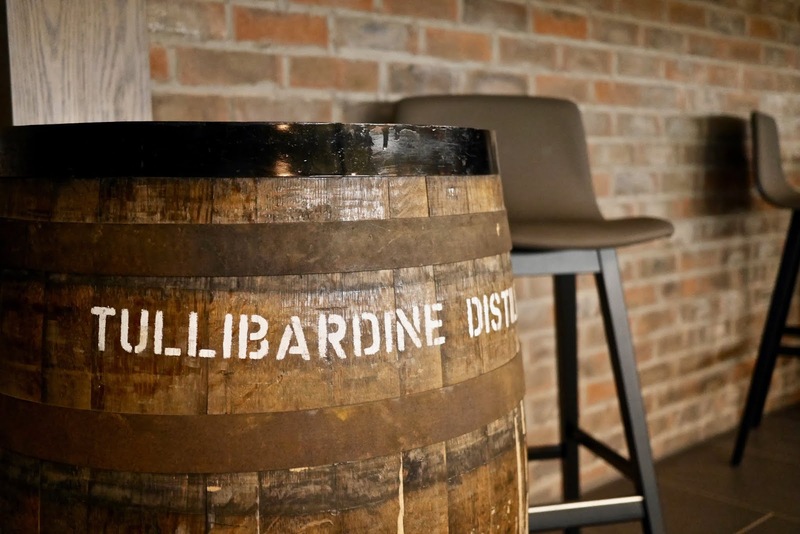 If you have not tried this excellent spirit yet then next time you're at the bar ask for a Tullbardine or better still head over to the distillery and do a tour where you can try a few from the range. I for one will be adding the 25-year-old to my whisky cabinet as soon as possible. 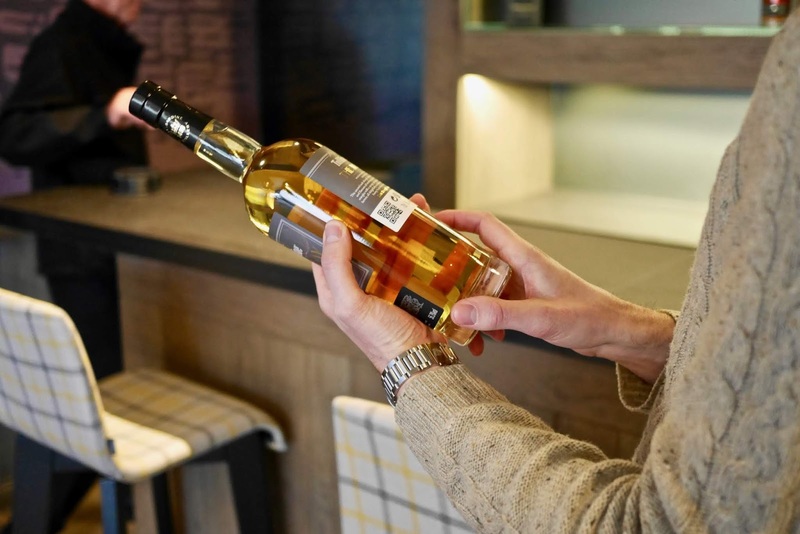 This is a sponsored post for Tullibardine Whisky but all opinions and words are my own and no influence was given by the distillery on the content of this post.